The UAE new Insurance Policy 2018 and UAE bank Guarantee refund 2018 rules which announced by UAE Cabinet in July to begin from 15 October 2018. The new insurance policy replaces existing 3000 AED bank guarantee system which just costs 60 AED annually, providing coverage upto 20,000 AED per worker. The new insurance policy 2018 of domestic workers also covers the cost of replacing the domestic worker in cases of his/her interruption of work, health issues or the wish (of the domestic worker) to cancel the working relationship. In case of non-payment by employer (company), it also covers a domestic worker's unpaid wages and his/her financial benefits which include end-of-service and leave allowances and overtime allowance. The assistant undersecretary, Aisha Bel Harfia said that establishments registered with the ministry will have 2 options to collect bank guarantees and buy new insurance 2018 for employers. The first is to buy insurance that can be issued immediately after typing the work permit application at Tasheel or other establishments that can complete their own applications using the Tasheel e-service. 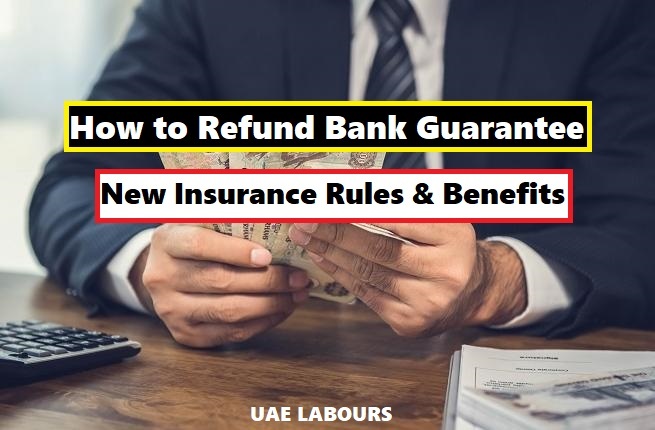 The other option is to submit 3000 AED bank guarantee refund on behalf of the employee (worker), as per the rules and regulations of the current bank guarantee system, which will be available alongside the new insurance system. This will allow employers (companies) to pick the option that suits them. The bank guarantees will be refunded to establishments (companies) when cancelling work permits of workers covered by these guarantees, which will thereby (also) end the working relationship between both parties (employer and employee) or when purchasing the new insurance policy upon renewal of the employee’s work permit, on the condition that the company has not committed violations (no fines) related to non-payment of salaries during the last 6 months before the renewal of the expired work permit. Service Bel Harfia clarified that the insurance document will be issued upon submitting applications through either Tasheel or Tadbeer service centres. Insurance documents for private sector employees and domestic workers registered with MOHRE (ministry) will be issued through an insurance corporation that includes national insurance companies operating across UAE, which have been chosen according to specific criteria. So, if you wanted to apply for bank guarantee refund, it’s your time to do it, as the issuance of new UAE insurance 2018 for employees is already started from October 15. To refund your bank guarantee, you should be the sponsor (owner), employee cannot refund their deposits. What are the documents needed for requesting bank guarantee refund? can it be done online through mobile app? If trade license is expired, may I get refund of bank guarantee of staff already resigned and of working staff? Kindly guide and advise.